Today we'll continue our discussion on photography lighting with equipment for external flashes. As we've discussed before, external flashes are essential for better photography. But even with an external, you can still fall victim to harsh shadows and over-exposed subjects. Another way to soften your lighting is with a diffuser. Some external flashes have a diffuser built-in, others you will need to purchase the add-on. The device works by spreading or scattering light in order to create a softer appearance, as opposed to a concentrated source --like with a spotlight. It will also reflect the light off ceilings and walls, eliminating harsh light and hard shadows, making it an excellent addition for portrait photography. Although umbrellas are considered types of reflectors, we'll focus on hand-held reflectors. 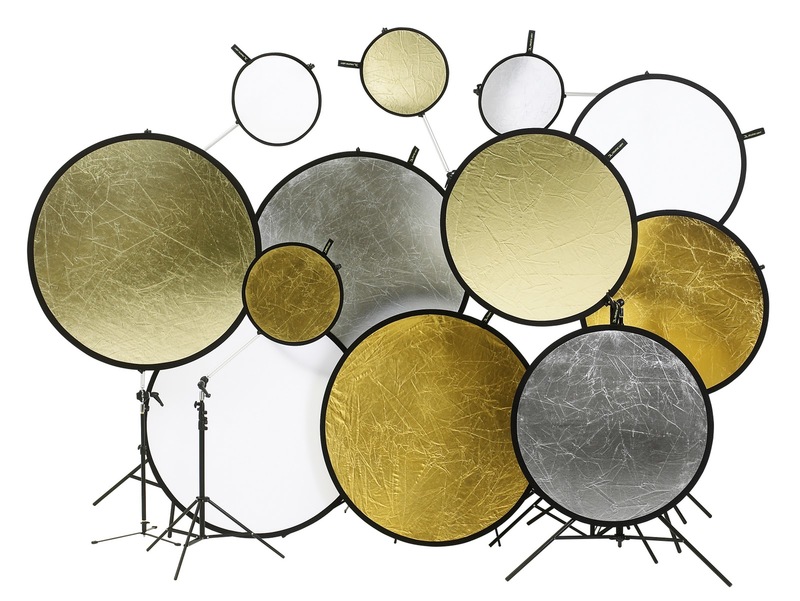 These devices are used to bounce light and fill shadows with highlights. (Usually you need an assistant to correctly position it for you while you photograph.) If you shoot from a low angle, the reflector should concentrate the light downward. And if you're shooting from eye-level or higher, you want the reflector positioned closer to the ground. Professional photographers typically employ several people to utilize reflectors and diffusers, especially when working outdoors to manipulate the lighting. Experimentation is the key to stunning photographs. 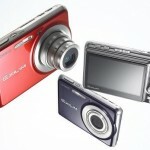 Find lighting accessories and other professional photography equipment when you shop at SuperDigitalCity.com. Also take advantage of a 5% off coupon good until Friday! Just type in “REF5PERC”at checkout. Last week we discussed softboxes, which are used to control the spill of light. Umbrellas serve a very similar function and are also used heavily in portrait photography. Just like a softbox, an umbrella will diffuse light, creating a softer light to fall on your subject. The umbrella will bounce light in different directions, creating a clearer image with little to no shadows. 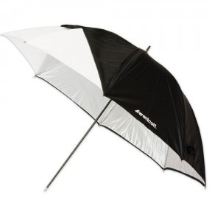 There are two colored umbrellas you can use: white and black/silver. A white umbrella is better for indoor photography and will create a softer glow. In order to use it you must shoot light directly through the umbrella. If you want to get rid of shadowing, you must angle the light. To achieve this, position the umbrella so that the shadow is behind your subject. This is what is typically done when shooting portraits. A black/silver umbrella is used to brighten your subject. In order to utilize it properly, you must direct light on the silver interior. Even though you are directing light directly to your subject, it will not wash out the image. If you want to make the most of your photographs, combine both pieces of photography lighting. Using both will allow you to eliminate shadow while giving your subject a nice glow. Use the black/silver umbrella as your main light source and use the white to diffuse the light. Save some extra cash on all photography umbrellas until this Friday by using the coupon code "UMB5PERC" at checkout! If you've ever had your portrait taken in school, you may have noticed some special umbrellas and white boxes on stands. You assumed it had something to do with the lighting, making your picture come out better than if your mom took it. Those boxy looking devices are called softboxes, a crucial element in portrait photography. It is a box that fits over a flash head with a white or silver interior and a translucent front where the light passes through. Without getting into the mechanisms of lighting, all you need to know is that a softbox will control the light spill. The subject will be illuminated by soft light, evenly, while the background receives minimal light. The softbox will increase the light source, creating softer shadow-highlight transitions. The larger the softbox, the more control you will have and the softer the lighting. Also, the closer you are to the subject, the softer the lighting. They tend to be easier to control and more directional than lighting umbrellas. Softboxes are especially ideal if you want a portrait with a darker background. You can even achieve a pitch black background without the use of a backdrop. 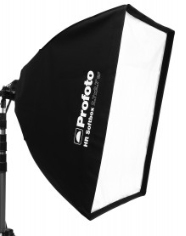 Your subject will definitely appreciate the softbox since it will create a flattering illumination. Although they may seem like a nuisance to tag along with you, most are collapsible, making them more portable. SuperDigitalCity.com carries a varied selection of softboxes from Creative Light. In the next handful of blog posts we're going to delve into the wonderful world of lighting, because honestly, lighting is crucial to photography. Everyone, both newbies and pros alike, are worried about exposure...photography exposure that is, whether it be over- or under-exposure. Light meters can be quite useful pieces of professional photography equipment to take away your worry. Light meters are very accurate. They measure light in tenths of an f-stop. But you might be asking, "Can't I just use built-in camera meters?" Well you can, but unlike handheld light meters, they aren't confused by contrast, backlighting, sidelighting, snow, or flash. Picking out a meter can be just as difficult as a choosing a camera. But there should be at least three modes of exposure measurement: incident (measures light falling on a scene), reflected (reads light bouncing off the subject), and flash (gives you the correct exposure by reading the light burst from the external flash). Another feature to look for is the ability to read light from a 1° angle. 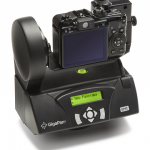 This will give you more control over the exposure, regardless of the distance to the subject. Also consider a meter that can fire a studio strobe. Most Sekonic meters can do this wirelessly. Others will only trigger a strobe when a cord is plugged in. The meter should also be able to record several pops from the strobe units and calculate the correct exposure. This is important when working in a studio with food, stock, and still life. Check back next week to learn more about nifty photography lighting tools. Wide angle lenses can be an awesome addition to your professional photography equipment, however, there are a few misconceptions about this lens. A wide angle lens has a focal length less than 35mm. In terms of usage, most people assume the primary function of this lens is when you cannot step far enough away from the subject to encapsulate the entire shot. Although this is a way to use the lens, it's by no means the only reason you want to use one. Sometimes "getting it all in" means you're going to include distracting objects on either side of your subject, thus diminishing the quality of the shot. Wide angle lenses come in varying degrees of width. The wider the degree, the more the lens will exaggerate the relationship between near and far. They will push back the background while pulling near objects even closer. However, do not confuse this with fisheye lenses, which distort and curve everything. As I mentioned before, you might think you have to be far away to use these lenses. But in reality, you'll get very impressive shots the closer you are to the subject, like very very close! The subject will be front and center and your eyes won't be pulled away into different directions because of the objects on either side of the photograph. Be wary of what objects are in the corner of your frame. A wide angle lens is going to create a huge depth-of-field, so ensure there isn't anything distracting in the photograph. 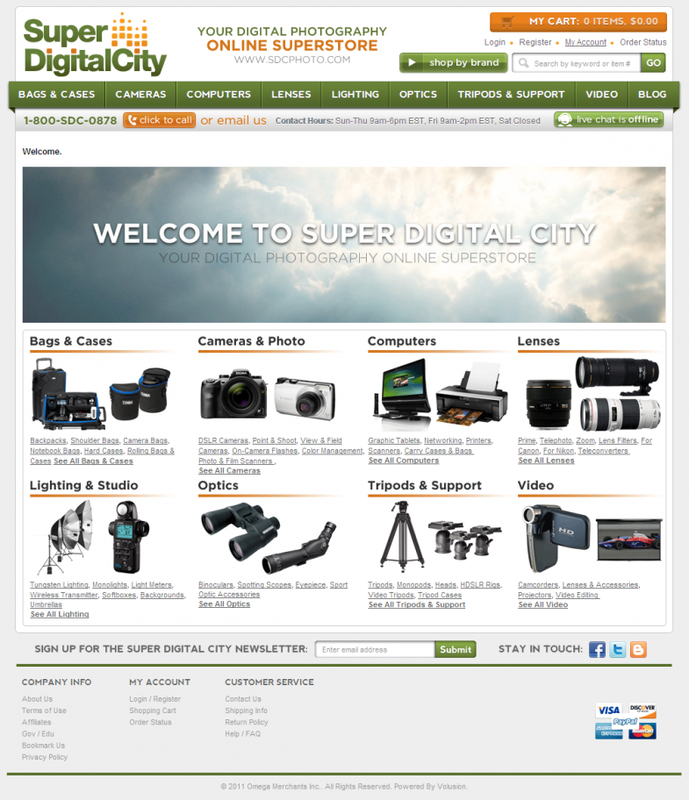 I'd like to officially take this time to announce the beautiful new re-design of SuperDigitalCity.com! We've made some great cosmetic changes all in the hopes of making your experience on our site even better than it has been. The top menu bar makes it easier to navigate the site and find exactly what you're looking for. Don't want to waste your time clicking through a million pages to find reflector grids? No worries, it's right there under the Lighting section. Find what you're looking for faster than ever. Browse by category or brand. View your cart, check your order status, or search for a specific product by name or model number. Online shopping is supposed to be easy, but some retailers make it more difficult than it has to be. A poor layout can quickly turn into a poor shopping experience and you're not likely to shop there again. That's not what Super Digital City is aiming for at all! We hope you can find everything you need, from camera bags and cases to telephoto lenses --and always top brands professionals use. So let us know what you think of the new design and be on the lookout for some changes to our blog site as well! When it comes to professional photography, details are important --down to every last black spot on a ladybug. Color is just such an important detail. Any photographer will tell you color plays a vital role. Heck, any person who just enjoys looking at photographs knows that color needs to be spot on. But from the time you take the picture to the moment you print out the photograph, a lot can happen. And this is where color calibration software and hardware come into play. Your computer monitor, printer, scanner, and digital camera all need to be in sync so that you can yield consistent colors. Sure you can fix the color in Adobe Photoshop, but it's tedious and time consuming. If your photos consistently produce the same problems, calibrating will cut out extra post-editing time. Software uses ICC Profiles so that you can have consistent color between all your devices. In essence, you'll be looking at a lot of squares ranging from white to black. A similar process will be done with your printer and digital camera. You will need a target image photograph both on screen and printed. Basically you have to compare the two and then make adjustments to your camera settings so that they match up. Purchasing color calibrating products from Super Digital City will make the process much simpler with step by step instructions. X-Rite is a popular choice for color management solutions that can be used on your home computer or for professional business use. Your photographs deserve precise color and why wouldn't you want to make life easier with color management? Be smart, save time, and enjoy the beauty of brilliant colors with half the work. Every photographer has faced this dilemma at one point or another during their career: How do you eliminate shadows when you're shooting on the go? Since every subject ideally needs to be lit using the three way system (spot, back light, and filler), finding that balance on the road can be tricky. Not every location will come equipped with its own studio lighting set. Shadows are the evil nemesis of every photographer, and during the age old battle, many devices have come to help fight the good fight. One of those is the Speedlite. By attaching it to the camera, the photographer can usually avoid a high contrast look (remember: high contrast = a lot of shadows. It may be good for Hitchcock, but not for you cousin's Bar Mitzvah). A speedlite, when used correctly, can be a fast and easy solution to the shadow problem and can save you the hassle of working harder in post production. Essentially an external flash will allow you to "bounce" the light of the flash off other objects, like the ceiling or wall, and onto the subject of the photograph. The swivel technique is a good place to start. Pointing the speedlite directly at the subject will be most unflattering and will create harsh shadows, exactly what you're trying to avoid. Position yourself so there is a wall either to the left or right of the subject. Swivel the speedlite to the 3 o'clock position (if the wall is on your right) or 9 o'clock (if the wall is on your left). 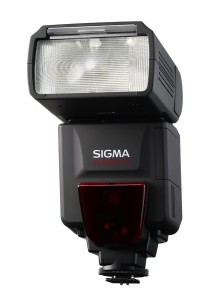 The speedlite will be aimed at the wall while your camera is aimed at the subject, creating a side lighting effect. If you swivel it to a wall directly behind you instead, this will create wrap-around light, covering the subject very evenly and eliminating almost all shadows. No professional should be caught using the internal flash, so shop for speedlites, lens filters, and other professional photography equipment at Super Digital City. Photography and professional camera equipment has quite a long and rich history, one that I could write an entire book about. But in today's blog post I won't bore you with an overly detailed history lesson. Instead, let's touch upon the most important, and the most interesting and noteworthy, points along photography's timeline. Photography began with the pinhole camera, but it wasn't the camera we have grown to love today full of circuitry and senors. During the Middle Ages, Alhazen invented the first pinhole camera, although the laws that apply to it were first noticed by Aristotle around 330 BC. Known as camera obscura, a pinhole is used to project an image upside-down on a viewing surface. The first permanent image didn't arrive until 1827 by a man named Joseph Nicephore Niepce. Using a camera obscura, Niepce placed an engraving onto a metal plate, coated in bitumen, and exposed it to light. The white areas of the engraving permitted the light to react with the chemicals on the plate. Gradually an image appeared. The process however, took 8 hours and soon faded. Taking what he learned from Niepce, Louis Daguerre spent over a decade shortening the photography process. In 1839 he was able to fix the images onto a sheet of silver-plated copper. After exposing it for a few minutes, the image would be "painted" by light on the plate. Silver chloride created a lasting image. A few experiments and inventions later, we finally come to 1889 when George Eastman invented a flexible, unbreakable film --the film we know today. Or rather the film we knew. It was this invention that made cameras a mass-produced item. It was also what developed movie films, although it was highly flammable and dangerous --but that was improved upon over time. 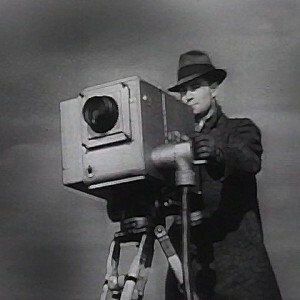 1905 saw the birth of 35mm cameras thanks to Oskar Barnack. He realized you could reduce the film negatives and enlarge the photographs after they were exposed. And we can pay homage to Steven Sasson for giving us the first digital camera in 1975. It took a long time and a lot of brilliant minds to get where we are today. 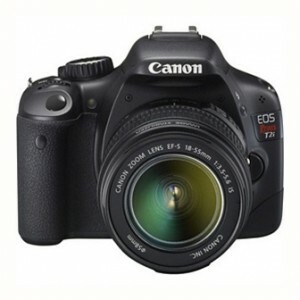 Now you can easily find all your professional photography equipment here at Super Digital City. 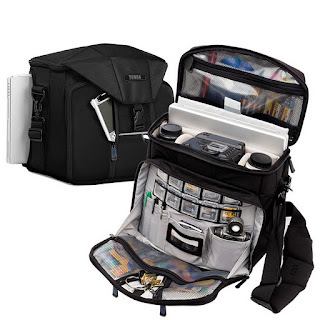 Camera bags and cases are essential for your professional camera equipment and sometimes deciding on cases can be just as tough as choosing the camera itself. The truth is that you should probably have a few different styles depending on where you are traveling and how much you are bringing with you. Tenba Bags is a popular brand that offers many different styles of durable bags and cases to protect your equipment. 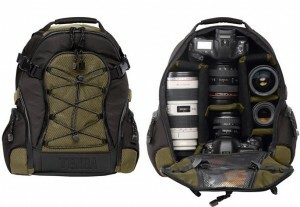 Tenba carries backpacks, waist packs, hard cases, lens bags, rolling bags, and about a half dozen more. Pouches are perfect for point and shoot cameras. They are compact yet still provide enough cushioning to keep the camera safe. The same can be said for waist packs; they have just enough room for a camera and a small amount of items. Backpacks aren't just good for trekking through rough mountain terrain. Some find them more comfortable to wear since you can more easily support the weight of extra gear. Rolling bags and cases are the ideal choice when lugging around heavier pieces of equipment and/or just a lot of accessories. Some are even designed specifically to house your lighting equipment, such as the Tenba Large Lighting Case. Both styles are available in various sizes to meet your equipment needs and almost all their products will fit in the overhead compartments of airplanes. Most of Tenba's carrying cases also feature a removable photo interior to make life even simpler. Tenba cases are highly durable, waterproof, and provide plenty of compartments so you're not stuck lugging several different bags. Popular Tenba collections include Shootout which is tough enough to handle rugged outdoor conditions, Mixx for those who need lightweight, yet durable cases, and Roadies for photographers who need wheeled cases for heavy duty equipment. Take a closer look at the Shootout Photo Sling Bag below and be sure to check out Tenba's other videos to learn more about each collection. SuperDigitalCity.com is proud to be an authorized dealer for Tenba, offering a large selection of their wonderful products. When thinking about professional photography equipment, everyone always recommends tripods. And it's no surprise considering the positive effects they can have on your photography. But have you considered purchasing a monopod instead? Just like the name suggests, the monopod has one leg. One leg?! Does that mean they're at a disadvantage to camera tripods? Absolutely not! Monopods offer many great benefits, one being that they are more mobile and easier to pack with the rest of your equipment. That means more storage space for lenses and lighting, not to mention a lighter load when trekking to a gig. Another reason why you should equip yourself with one is that some stadiums and sporting events actually prohibit tripods, so it's best to have one handy in case. The most popular materials used to construct them are aluminum/magnesium alloy and carbon fiber. The former weighs more and the latter is lighter, but more expensive. You'll want a quality brand to ensure that it is sturdy and can properly support your camera so as not to damage it. When choosing a monopod, always pick one with twice the maximum weight capacity that you currently need in case you decide to upgrade to larger lenses down the line. Then you won't have to worry about buying a new monopod to hold it. Monopods come in several different heights with either two or three section legs --secured by either a quick lock or a twist lock. 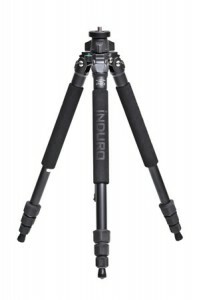 SuperDigitalCity.com carries a full line of both Induro and Benro monopods. This year the Javits Center, located at 655 West 34th St. by 11th Ave., is hosting one of the biggest and most exciting industry events for photographers and image-makers. This event, which will take place October 27th-29th, is going to showcase some of the newest professional photography equipment soon to be available on the market. This is a glimpse of what all serious photographers can get their hands on. On the show floor will be hundreds of exhibitors from some of the biggest manufacturers and some of the up-and-coming forces to be reckoned with. From each of these exhibitors you will see cool new gear for cameras, accessories, and imaging products and services. It really offers an opportunity for enthusiasts and industry professions to network and learn. There will also be seminars you can attend with hands-on workshops to help you better grasp material, refine skills, and try new technology. The best part is that these seminars are conducted by experts in the field. This is a fantastic way to strengthen your knowledge and expand your business. Get your tickets while you still can if you haven't already. This is not something you want to miss. After all, if you're the only one of out your photography buddies not to see the latest DSLR cameras and the corresponding camera filters, you'll feel left out! 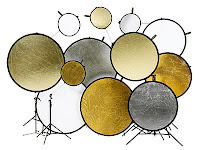 Have you ever wanted to try out a piece of equipment before you made the bold move of buying it? We all know that professional photography equipment is expensive and it is an investment well worth research. From lenses to lighting to tripods, the accessories a photographer needs to be successful is mind boggling. Having an opportunity to experience the best of the best first hand is a great factor in knowing that it is, in fact, the product you need. Well, SuperDigitalCity and LensRentals.com have teamed up to provide you with a fantastic opportunity! You can choose one of the product lines from their program, rent it, and if you are satisfied with it, send Super Digital City an invoice to Sales@SuperDigitalCity to receive a coupon code to be applied upon purchase. Some of the participating brands are Sigma, Profoto, Induro, and Sekonic. This is not something you want to miss out on. How often can you say that you were allowed to try fantastic products before committing to the purchase? 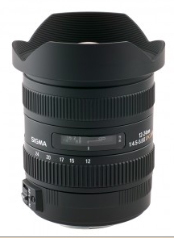 Some of the items they are highlighting are Sigma lenses, Profoto lighting, and Induro tripods. When you rent from this program you can get around $50 dollars or more off the purchase with the coupon. Be sure to check both websites for the items available for this offer. If you have any questions about this offer or any products, please feel free to contact the retailer. Panoramic shots are just plain cool. Whether you want a scenic mountain landscape or the skyline of your city at sunset with the sky a-blazing bright red around the neon lights, Panorama shots are unmatched. And there's a really cool way you can get exactly those shots using accessories for camera tripods. 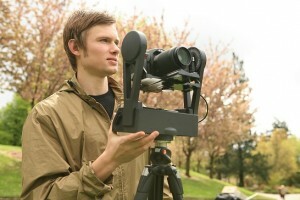 The product: a GigaPan camera mount. 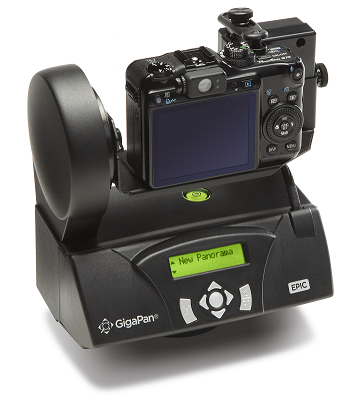 The GigaPan EPIC is a robotic camera mount with the capability of empowering digital cameras, including but not limited to DSLR, to capture gigapixel images. The tripod mount comes with easy-to-use software that automatically combines the photos to create smooth panoramic shots the way you like them. It's this high quality image stitching that really makes these accessories shine. The EPIC has three variations: EPIC, EPIC 100, and EPIC PRO. So, I'm guessing your next question is, "What are the differences and which do I choose?" Well, it depends on the camera you have. The EPIC is for smaller digital cameras. The point and shoot kind. The other two are larger so they can also handle DSLR. Each of these products provide for optimal positioning and you can achieve precision accuracy using them. The next question you may have is, "where can I find these?" 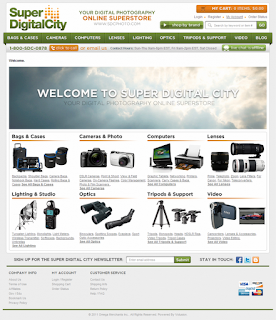 Superdigitalcity.com is a dedicated and professional photography equipment store with a track record for excellence. They have these revolutionary camera mounts along with many other handy accessories in stock at great prices. One of the things you should really look for after purchasing a DSLR camera is lens filters. Chances are you made this investment with the intention of expanding your photography options. It's very easy to find the right aperture for the kind of photos you want to be taking. Let's first talk about how lenses coincide with camera models. You must always know what series camera you own before you go purchasing just any lens. The compatibility will be listed either on the camera maker's website or on the boxes of the lenses themselves. If you're unsure you could always ask the store for assistance. 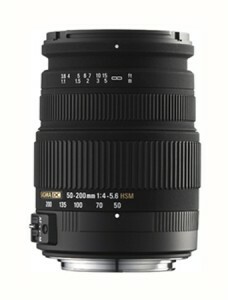 Lenses are an investment like any other professional photography equipment. You can find them at better prices online, but generally they will cost around $100 and upward. Be sure you know which ones you really need the most, then purchase them in order of importance. Wide angle lenses are good for landscapes and open spaces. They can distort the corners slightly into a curve depending on their degree. Telephoto lenses are fantastic for narrowing the depth, say for sporting events where you need close shots. Fisheye lenses greatly distort the image. They're useful to create an exaggerated shot. Polarizing filters and UV filters help adjust lighting and reflection problems experienced by the camera lens. Image Quality - Probably the real reason enthusiasts trade in for a better camera. Larger image sensors will take photos with larger pixels, meaning really great looking pictures with awesome detail. You will also enjoy faster shutter speeds and reduced noise. Different Camera Lenses and Lens Filters - With a variety of lenses, you can further adapt to your subject. Whether you're photographing tiny insects or the Grand Canyon, high quality lenses cater to your perfect shot, while lens filters add unique effects to the photograph. Fast Speeds - People love to take pictures at concerts or sporting events, but on a compact camera, it's not going to be a good shot. There will be a large number of pics to delete. But an excellent DSLR can keep up with even the fastest of players without it being a blurry mess. Manual Controls - The manual controls on a DSLR may seem intimidating to newbies, but with a little eagerness to learn, you can turn a boring photo into an interesting and artistic one. Photography has been a staple of our society for decades. It is so completely integrated into our lives that we cannot even imagine life before the camera was invented. From historical documentation to personal use, we capture memories, stories, and creativity. We explore the definitions of reality through photo editing, lighting, lens filters, and other effects. It has opened up a portal to a new understanding of the world around us. But, it gets complicated and it gets expensive to photograph the world we see. Here at the SDC Photo Blog, you will receive helpful tips, information on products, and news related to helping you enjoy your photography and find great prices. Whether you are a professional photographer, a hobby photographer, or just wanted to learn about the field, this is your resource. Learn about professional photography equipment and more each week. Super Digital City, a division of Omega Merchants Inc., is devoted to serving the photography community with excellent service and pricing. Founded in 2005, they encourage shoppers to browse online for an easy and comfortable experience offering both pre- and post-sale customer service. You can find numerous supplies in our inventory, all in brand-new factory sealed packaging unless otherwise noted. Start enjoying your photography shopping today!